The capital city of Tuva republic: Kyzyl. The Republic of Tuva is a federal subject of Russia located in the geographical center of Asia in the south of Eastern Siberia, in the upper reaches of the Yenisei River, part of the Siberian Federal District. Kyzyl is the capital city of the region. The population of Tuva is about 318,000 (2015), the area - 168,604 sq. km. 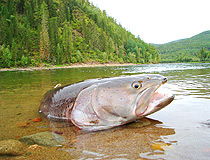 3 November, 2009 / Going fishing in Tuva republic of Russia. 28 December, 2011 / December 27, 2011 the strongest ever recorded earthquake of magnitude 9.5 occurred about 100 km east of Kyzyl (Tuva Republic) at a depth of 10 km. The earth tremors were registered in Tuva, Khakassia and Altai Republics, Altai and Krasnoyarsk territories, Irkutsk, Kemerovo and Novosibirsk oblasts. According to preliminary information nobody died. The infrastructure was not damaged too. Since the I millennium BC, Indo-European nomads dominated the territory of present Tuva, then the Turkic tribes migrated here. 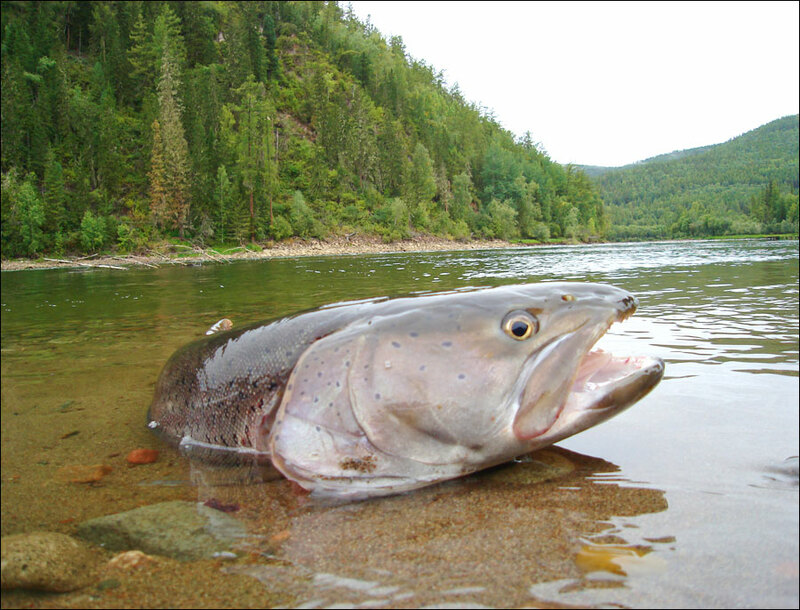 The first state in the territory of Southern Siberia arose in the 4th-3rd centuries BC. The ancient Chinese chronicles called its creators, who lived west of Baikal, the Dinlins, and the state - Dinlin-go. In the 9th century, the empire of the Yenisei Kyrgyz, centered on the territory of present Khakassia, rapidly expanded. In 840, this state destroyed the Uighur Kaganate (745-847) and spread its power to the territory of Tuva. At the beginning of the 13th century, the territory of Tuva became part of the Mongol Empire. In the 14th century, the Mongol Empire collapsed into separate states and Tuva became part of the states of the North Yuan and the Khotogoit Khanate. Later, Tuva was part of the Dzungar Khanate, after the defeat of which, in 1758, the Tuvan lands became part of the Manchu empire Qing (China). Until 1912, Tuva was governed by this state. After the Mongolian national revolution of 1911, the Tuvan princes were divided into three groups: some supported independence, others offered to join Mongolia, the rest wanted to join the Russian Empire. After the Xinhai Revolution in China (1912-1913), Tuvan leaders several times appealed to the Russian government to accept Tuva as a protectorate of the Russian Empire. In 1914, Emperor Nicholas II agreed to this. Thus, Tuva voluntarily became the protectorate of Russia under the name of the Uryanghai region as part of the Yenisei province. 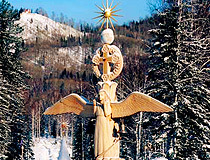 In the same year, the construction of the capital of the region began, which was named Belotsarsk in honor of the “White Tsar” (the Russian emperor). In 1921, Tuvan revolutionaries, supported by Russia, decided to proclaim the national sovereignty of Tuva, the independent People’s Republic of Tannu-Tuva was formed. In 1926, it became the Tuvan People’s Republic. This state was recognized by the USSR in 1924, and by the Mongolian People’s Republic in 1926, but was not recognized by China. In 1932, under the pressure of the USSR, the Mongolian People’s Republic agreed to give the lands inhabited by the Tuvinians to the south of the Tannu-Ola ridge to Tuva. June 22, 1941, the Tuvan People’s Republic entered the Second World War on the side of the USSR. From June 1941 to August 1944, the republic supplied about 50,000 combat horses to the USSR, as well as about 750,000 heads of cattle, of which almost 650,000 - free of charge. 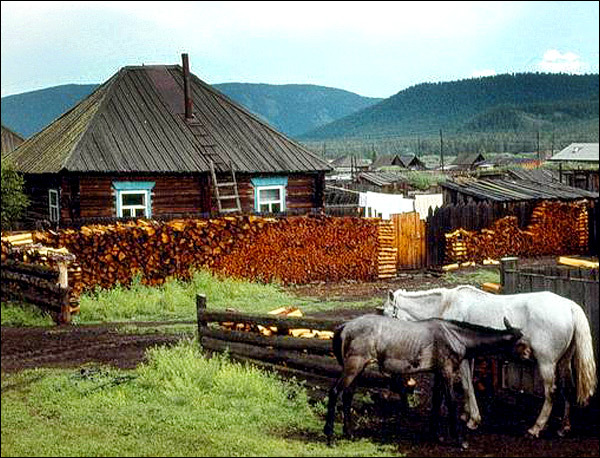 In 1942, the government of the USSR permitted the recruitment of volunteers from Tuva. In total, about 8 thousand residents of the Tuvan People’s Republic served in the Red Army during the war. 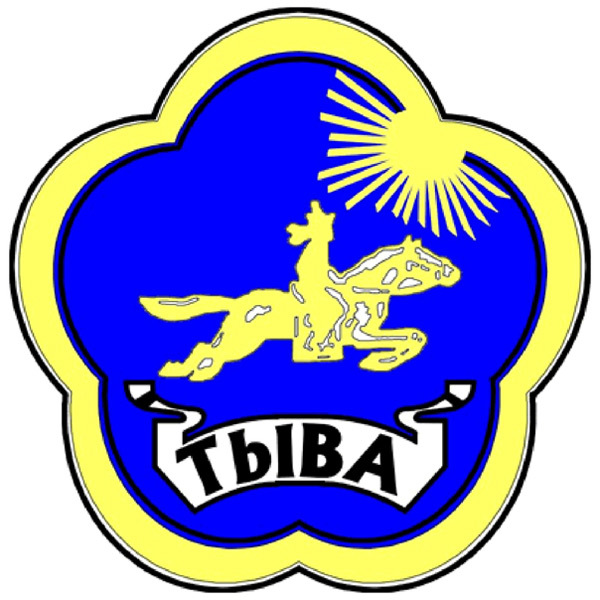 In 1944, the Tuvan People’s Republic became a member of the Union of Soviet Socialist Republics and turned into Tuva autonomous oblast. In 1961, the region was transformed into the Tuva Autonomous Soviet Socialist Republic. In 1978, the first constitution of the Tuva ASSR since entering the USSR was adopted. 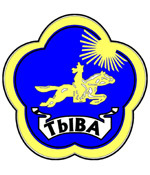 In 1991, the Supreme Soviet of the Republic renamed the Tuva ASSR in the Republic of Tuva. The length of the territory of Tuva from north to south is 420 km, from west to east - 630 km. In the south and southeast, the republic borders Mongolia. Kyzyl with a population of about 114,000 people is the only city in the republic. 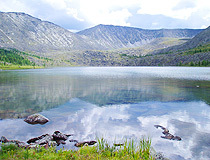 Tuva is a mountainous region with alternating mountain ranges and intermontane basins. 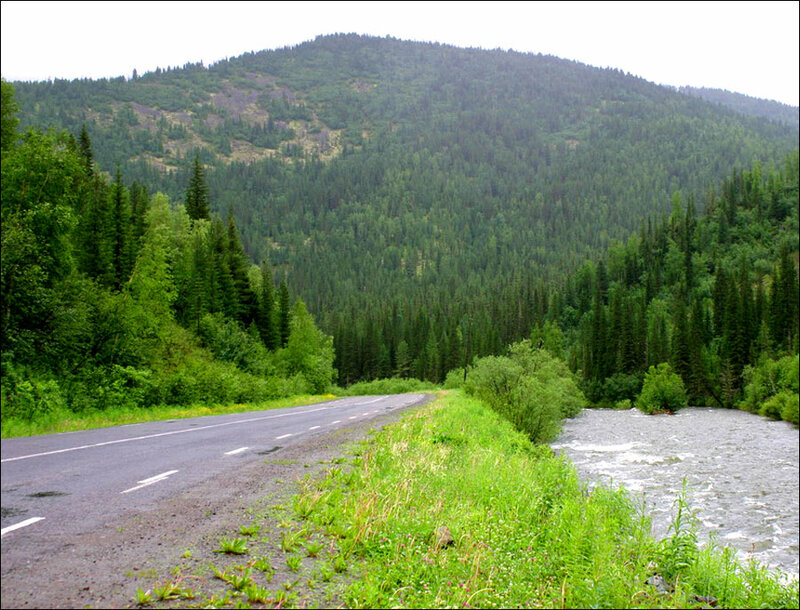 In the north and east, there are ridges and spurs of the Sayan Mountains with peaks of 2,000-3,000 meters above sea level. 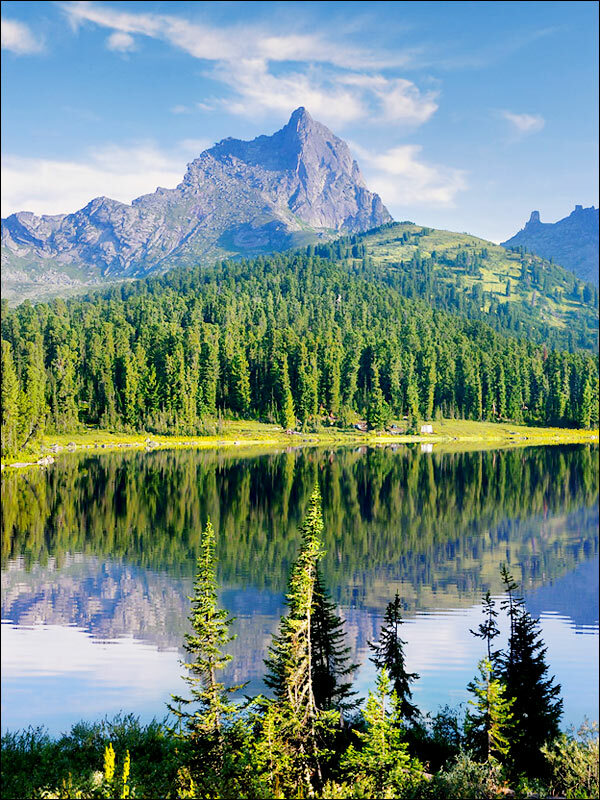 In the west, the Altai Mountains are located with peaks over 3,000 meters above sea level. The highest of them are Mongun-Taiga (3,976 m), Ak-Oyuk (3,608 m), Mongulek (3,485 m), Kyzyl-Taiga (3,121 m). The mountains, occupying about 80% of the territory of Tuva, play the role of a wall that isolates the region from external influences, defining the climate of the republic as sharply continental. 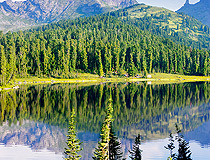 Winters are frosty and windless, summers are moderately warm in the mountains and hot in the basins. The average temperature in January is about minus 30 degrees Celsius, in July - plus 20 degrees Celsius. 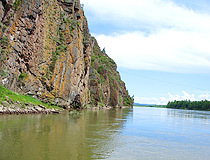 Yenisei (Ulug-Khem), one of the largest rivers in the world, originates in Tuva. 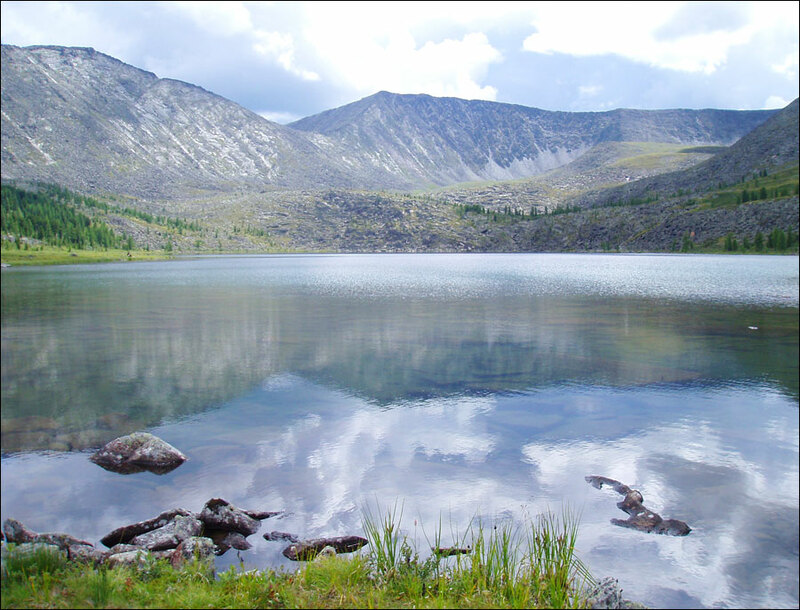 There are thousands of lakes on the territory of the republic, most of which are of glacial origin. There are 13 salty mud lakes and more than 50 healing springs, the waters of which are successfully used for treatment of various diseases. 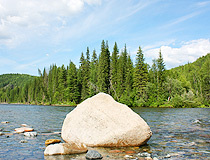 Tuva is also rich in underground and mineral waters. 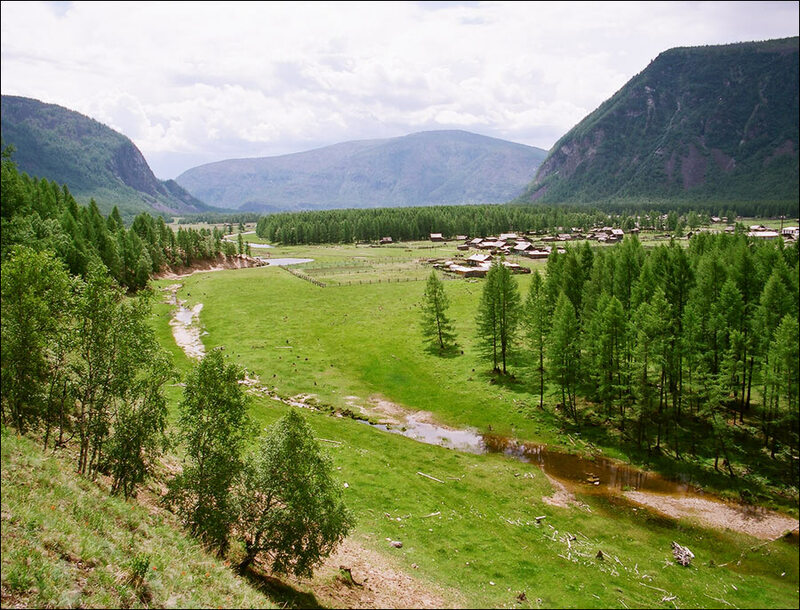 Tuva is an earthquake-prone region. It has a unique and diverse flora and fauna. 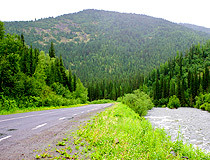 Most of the territory of the republic is occupied by forests (about 83%). 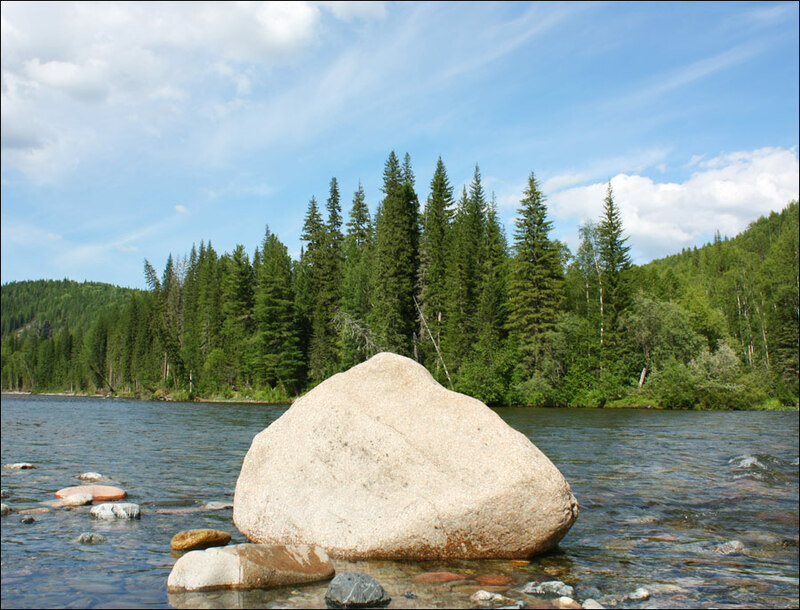 About 3 million hectares are covered with cedar forests, which makes up 11% of all cedar forests in Russia. The main industry is mining, which arose on the basis of deposits of non-ferrous metals, asbestos, coal, gold, and other minerals. The food industry, timber and woodworking industries are also relatively well developed. 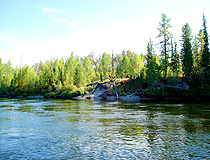 The Tuvans or Tuvinians, the indigenous population of this region, make up about 80% of the population of the republic. They also live in neighboring Mongolia and China. The Tuvans, one of the most ancient peoples of Central Asia, have a unique culture - the culture of nomads. 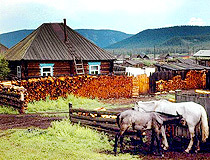 Due to their relatively isolated position, self-sufficient nomadic farms have been preserved in Tuva. The traditional occupations of the Tuvans include the breeding of sheep, horses, reindeer, and hunting. The traditional religion of the Tuvinians is Tibetan Buddhism, which is combined with elements of ancient shamanism. In September 1992, the Dalai Lama XIV, the spiritual leader of the Buddhists, made a three-day visit to the republic. Tuvan throat singing “Hoomei” is known all over the world and is an unofficial symbol of the republic. There is a national orchestra that uses this kind of singing. The annual festival of the Tuvan cattle breeders Naadym, the Ustuu-Huree festival and the celebration of the national New Year Shagaa are colorful and popular events attracting people from all over the republic and tourists. 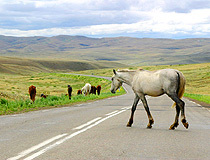 Tuva has a significant tourist potential, which is determined by the great variety of natural and climatic zones (mountain tundra, taiga, steppes, and semi-deserts), the presence of picturesque landscapes, the richness of fauna and flora, unique national traditions and historical monuments. 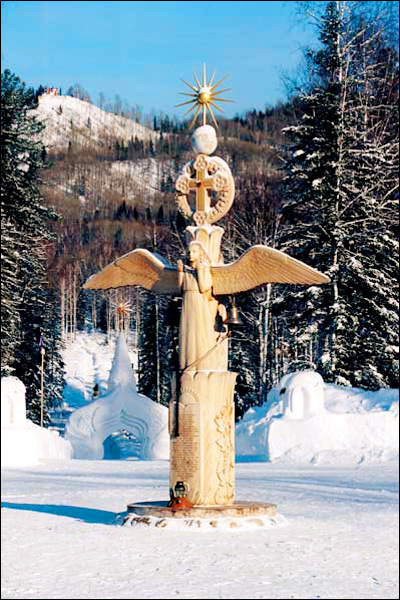 The republic has a rich historical and cultural heritage, preserved ethnic culture: traditional dwellings of the Tuvinian nomads (yurts), national cuisine, folk crafts (figurines from agalmatolite), national arts (throat singing of khoomei), national sports (“khuresh” wrestling, horse races), unique combination of traditions of shamanism and Buddhism, the life of Russian Old Believers. 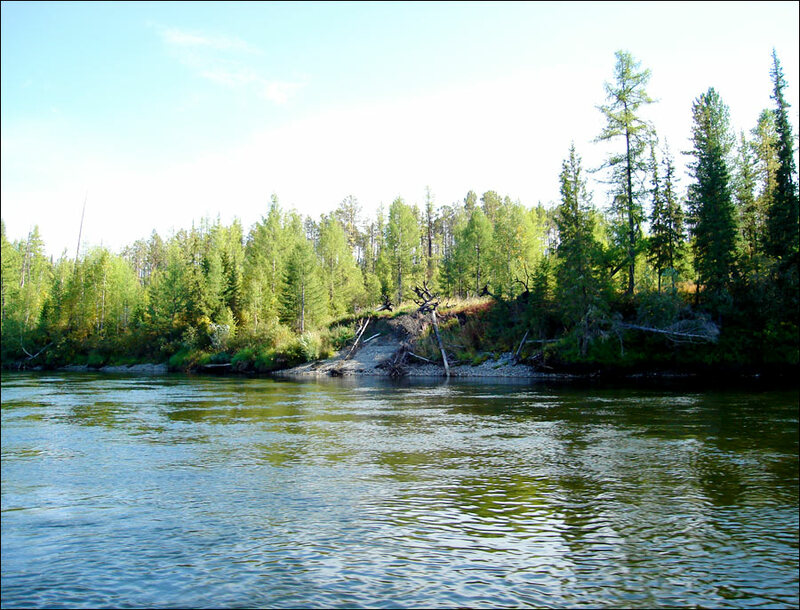 There are 16 reserves, 14 nature monuments and two reserves in Tuva. One of them, the State Natural Biosphere Reserve “Ubsunur Hollow” is a monument of the World Cultural and Natural Heritage of UNESCO. 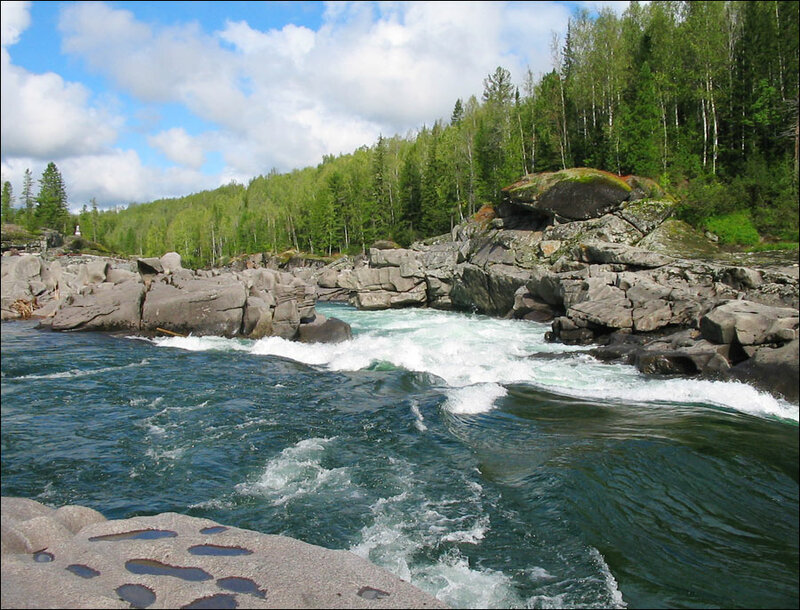 This reserve is especially valuable because practically all landscapes of the temperate zone can be found on its territory: glaciers, taiga, tundra, alpine meadows, deserts, etc. There are thousands of non-scant mounds of local nomadic tribes here. 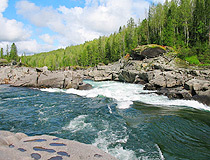 In the north-east of Tuva, there is another unique natural reserve “Azas”, unsurpassed in terms of the number of its own hydro resources. It has countless mountain ranges, glaciers, lakes and, of course, a very rich fauna. The balneological resort Ush-Beldir is very popular. Lake Cheder has extensive deposits of therapeutic mud. Lake Tere-Khol is known for the remains of an ancient fortress that once stood on an island in the middle of the lake. Dus-Khol (Svatikovo) - a drainless salt lake located in the central part of the Tuva basin, 42 km south of Kyzyl. On the shore of the lake there is the recreation center “Silbir”. The concentration of salt in the lake is such that a person can lie calmly on the water, without any fear of drowning (similar to the Dead Sea in Israel). More than 90% of the territory of the republic is a hunting ground. Such animals as sable, Sayan squirrel, lynx, wolverine, ermine, bear, wolf, maral, mountain goat, musk deer, snow leopard live here. 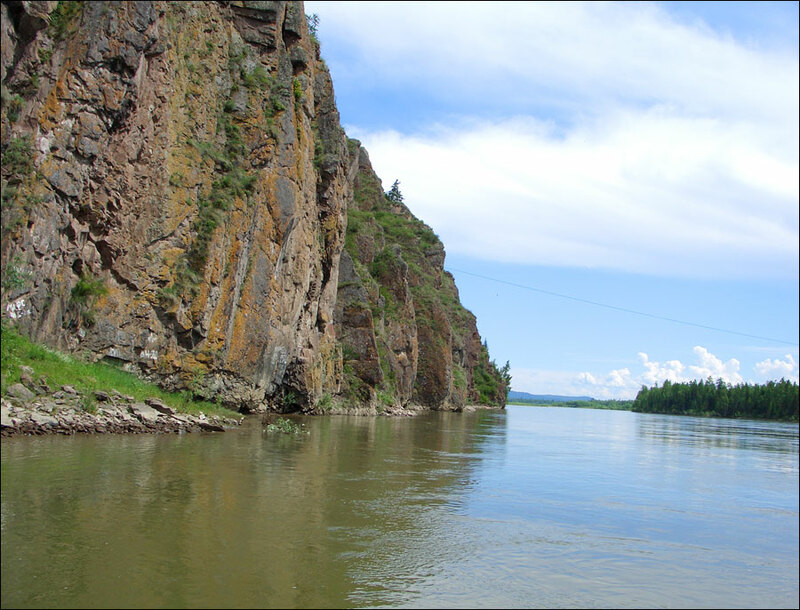 Tuva is an attractive place for archaeological expeditions. During the excavation of the Arzhan-1 mound, a bronze, curled in a ring, panther of the 8th century was found, which became the symbol of ancient Tuva. In 2001, during the excavation of the Arzhan-2 mound, more than 20 kg of gold items of everyday and cult nature were discovered. In Kyzyl, there is the National Museum named after Aldan Maadyr, which has a very rich collection of archaeological finds. In 2008, the new building of the museum was opened. The museum has the “gold of the Scythians” and other finds from the world-famous mound Arzhan-2. The geographical center of Asia is located in the capital of the Republic of Tuva. The obelisk “Center of Asia” is installed on the embankment 1 km below the confluence of Biy-Khem and Kaa-Khem, on the left bank of the Yenisei River. Susan Vorhand asks: According to an article in the July issue of National Geographic Tuvans believe the past is ahead of them while the future lies behind. Is this true? The concept blows my mind. Can you shed some light on it, or direct me to where I might learn more about it? Thank you. Susan Vorhand PhD. In general, this is true. 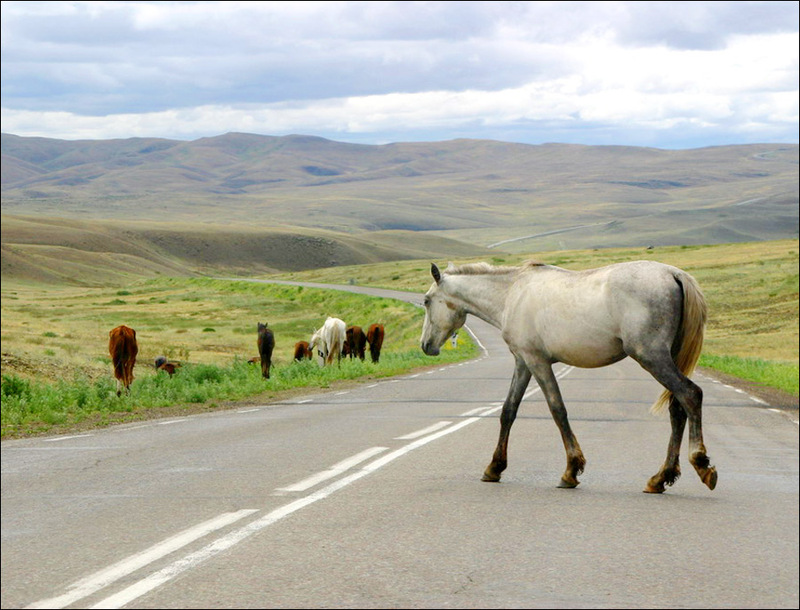 Nomadic Tuvans think about the time as a road on which they move their entire lives. But, standing on this way, their faces are turned to the past, to the ancestors. All their hopes are concentrated there, they look for support in the past experience, know their ancestry to the seventh generation and can call them by names. Everything that nomads want to get in their life, they beg from their ancestors referring to the past. That's why, warmed by the patriarchs' care, nomads turn their backs to the future. They don't choose the future as a goal, it comes to them from behind, the future for them is unpredictable and dangerous because it carries unexpected threats to their tribes. You should find literature on the psychology of the nomads to get more details. Jan Khouback asks: Is there a village or town in Tuva named Baskeeva? That name I have found on an older map (from the fifthies). There are two names in Tuva. One is Kyzyl Khota and the other name is Baskeeva. I know that Kyzyl is the capital (but what does Khota mean?). And which village or town could be Baskeeva. I haven't found the village mentioned in your question but here is the detailed map of the Tuva Republic that will probably be helpful. I have never been to Tuva but the music still makes me homesick! It's the sound of the earth moving. In 2004 I was lucky enough to play in at the Roaring Hoofs Festival in Mongolia where I met many fine singers.